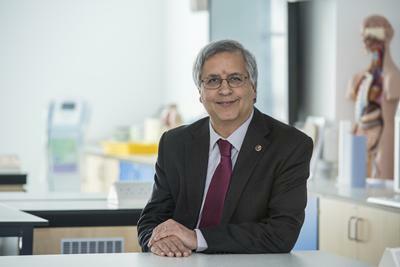 Professor Cyrus Cooper of the University of Southampton has been appointed as a Deputy Lieutenant of Hampshire. Professor Cooper, who is Director of the Medical Research Council Lifecourse Epidemiology Unit at the University, will take up the position immediately and support the Lord-Lieutenant in carrying out his functions as HM The Queen’s representative in the county. He will still continue his role at the University, which includes leading an internationally competitive programme of research into the epidemiology of musculoskeletal disorders, most notably osteoporosis. Professor Cooper will hold the appointment until he is 75 years old. 5.	responsibility for greeting Heads of State and submitting names for Royal garden parties.